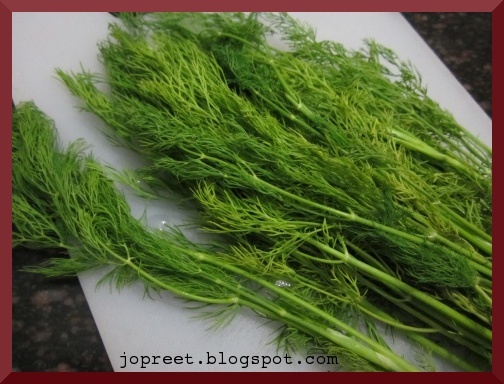 “In India, dill is known as “shepu” in Marathi and Konkani, “savaa” in Hindi or “soa” in Punjabi. In Telugu, it is called “soya” and “soya-kura” (for herb greens). It is also called “sapsige soppu” in Kannada. In Tamil it is known as “sada kuppi“(சதகுப்பி). In Malayalam, it is ചതകുപ്പ (chathakuppa ) or ശതകുപ്പ (sathakuppa). In Sanskrit, this herb is called “shatapushpa”. In Gujarati, it is known as “hariz“. Wash and finely chop the suwa. Heat oil in a kadhai and temper mustard seeds. Add cumin seeds and curry leaves. Saute a while. Add chopped onions and fry for 2 mins. Add chopped tomatoes and mash the pulp. Add chopped potatoes and suwa. Add turmeric powder, chili powder and asofoetida. Cook for 2 mins. Add 1 cup water and salt to taste. Cook it covered for 10-15 mins. Serve hot with roti. Delicious combo of dill and potato, both goes well. love dill on my cucumbers! 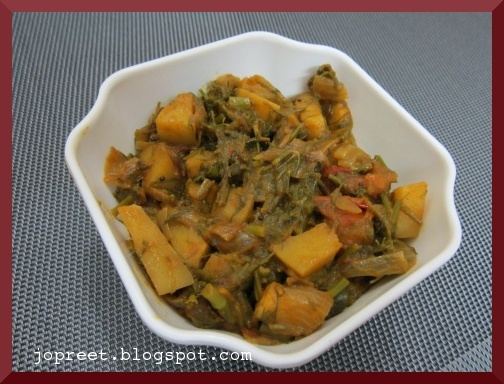 I can guess the taste of this potato curry. Awesome dear. Yummy combination, that looks fantastic! I love this combination but hubby does not like dill so dont make it often. 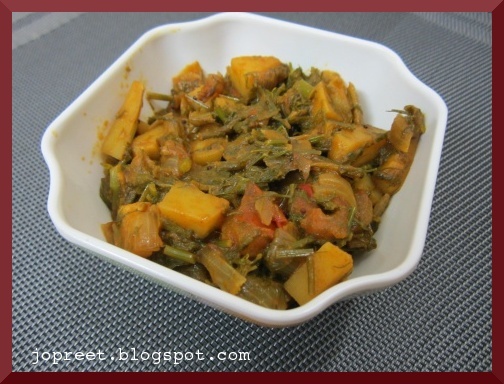 i dont think i have seen dill anywhere around here!but a lovely sabji to try!